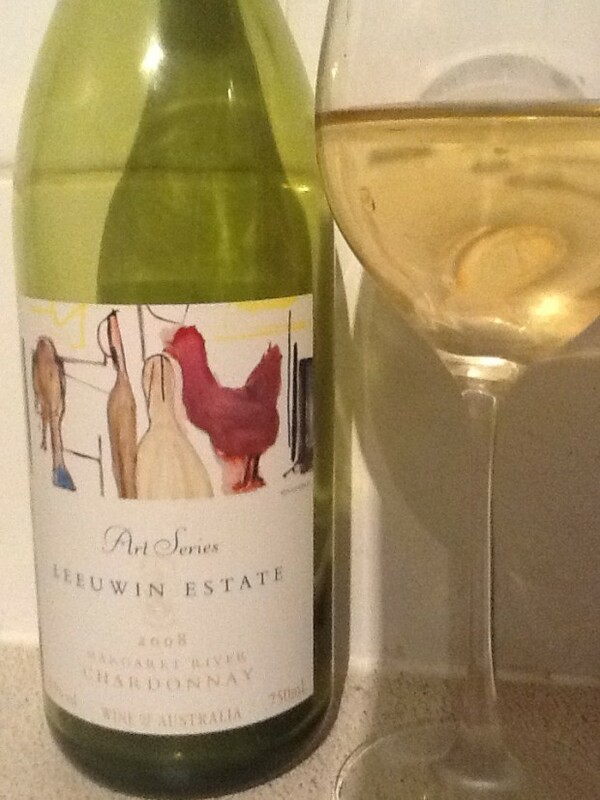 Tasting Leeuwin Art Series Chardonnay 2008 is a bright blast of sunshine much like sitting on a tarmac anywhere after arriving from gloomy Gatwick. So, it does not surprise me this wine is on Qantas First Class. Even on the ground, this wine is a journey in itself. This is a complex and big wine, bright and juicy, with crystalline ginger and honey notes lapping up on the shore of your tongue like tropical waves. This is exactly what you want when flying (especially a 24 hour flight to Australia): at 36,000 feet flavours pale and diminish due to cabin pressure and air quality (as I found out when tasting for Skyscanner). Plus, you know exactly where you are with this wine. It is THE taste of Margaret River. There is no mucking about trying to be a Corton Charlemagne here. On the ground, at home, it is very dense and compact, almost monolithic… yet, yet… it is a true joy. One of those wines you where you lift your glass up to the light to marvel at it. Probably closer to a great Champagne than a Chardonnay, it consumes all your synapses. My drinking companion whistled, “wooh, this is an experience.” So I’d be pretty happy drinking this on first class. Well, I’d be pretty happy to be on first class full stop. At least they serve wines from the actual glass wine bottle… it is not the destination, it is the journey… and for me, on a 24-hour flight, it is all about the wine.